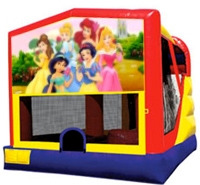 Our Dream Castle Combos are fully enclosed, so the participants only exit the jumper when they are ready to get out of the unit. 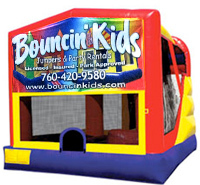 Many combo jumpers you see from other companies have inflatables where the kids slide down the slide, exit the inflatable at the end of the slide and have to climb back in each time in order to jump around or slide again. This makes for a higher probability for kids to hurt themselves climbing in and out each time. Our combos have a safety slide bumper at the end of the slide and a safety tube that you have to step over in order to get back to the ladder or jump area. (Preventing children that are coming down the slide from sliding into the kids that are jumping.) You only exit our combos if you need a breather from all the fun you're having! 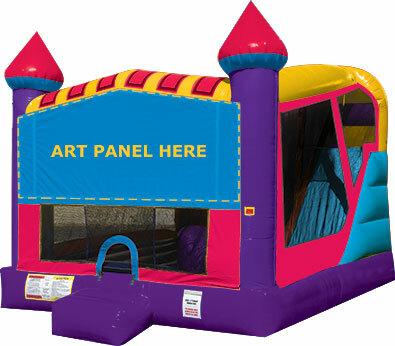 The 4in1 Themed Dream Castle Combos are vibrantly colored and offer four different activities for endless hours of fun. Each combo has a large interior jumping area, a basketball hoop for group interaction, a ladder to conquer and a fun slide to race down. Don't let the "inside slide" fool you. It is fast!! 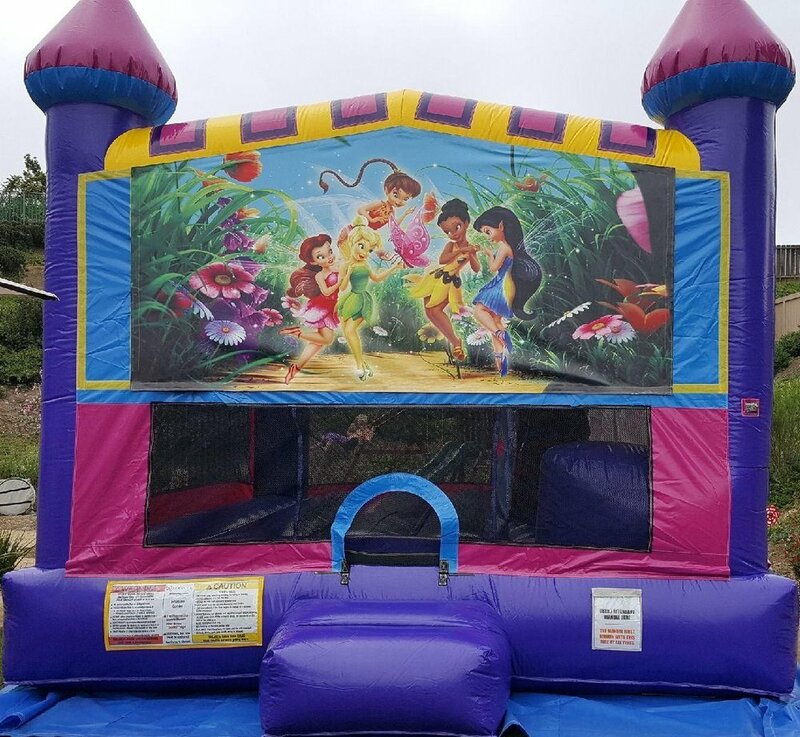 There is entertainment for even the most active child and the high-visibility mesh allows spectators to keep an eye on all of the participants. So much to do in just one inflatable! All of our jumpers have entrance ramps and roof tops for safety and sun protection.